Dusty bins are packed with 45rpm singles where the B-side is far superior than the A side that was played for radio audiences. 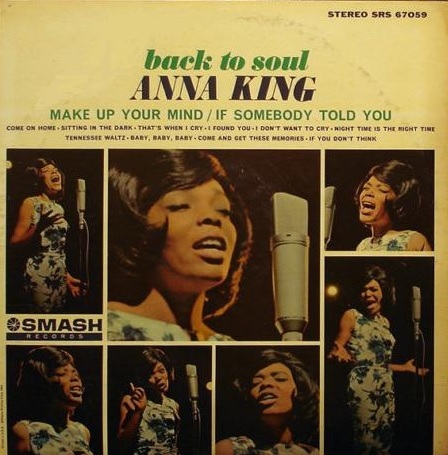 And Anna King’s last single effort is one of those perplexing affairs. Of course, given the time, the answer record A-side “Mama’s Got A Bag Of Her Own” seemed like the surefire way to at least get some of the chart glory from the then current James Brown hit (and even The Jewels tried with “Papa’s Left Mama Holdin’ the Bag” the same year). But decidedly this bluesy sorta sequel to The Jaynetts 1963 smash where there’s a brilliant and beautiful plot twist, in all of its slow burning, escalating glory, decidedly deserved to be an R&B classic.